When India’s shadow lenders sneeze, lots of others catch a cold. Debt concerns have pushed funding costs for non-bank financing companies to multi-year highs in recent weeks. That’s bad news for all the borrowers who rely on the lenders in the world’s fastest-growing major economy -- from poor entrepreneurs getting micro loans for food delivery businesses to property tycoons looking to roll over debt that fueled a construction boom. The development will make money more expensive for a huge range of enterprises and individuals, at a crucial time for policy makers. Teetering economic activity is already pressuring the central bank to deliver on expectations for a back-to-back interest rate cut in April. And Prime Minister Narendra Modi must avoid any economic turbulence ahead of elections next month. Spreads on top-rated five-year bonds of Indian non-bank lenders have risen 75 basis points from the end of August to near their widest levels since 2012, according to data compiled by Bloomberg. The problems started late last year following shock defaults at shadow lender IL&FS group. Things looked better briefly earlier this year after authorities stepped in to increase liquidity, but more surprises popped up in the past few months. Debt concerns at conglomerate Essel Group and troubles for mortgage lender Dewan Housing Finance Corp. have since pushed financing costs higher. Non-bank lenders with AA ratings were paying about 10.68 per cent for money last month, up 64 basis points since September, according to the latest analysis by CARE Ratings of weighted average rates. Essel’s debt worries ricocheted through India’s money markets last month and debt instruments at Dewan Housing were downgraded amid corporate governance concerns. ICRA expects growth in lending by NBFCs to halve in the second half of the 2019 fiscal year to 12 per cent on the back of the funding squeeze and risk aversion. The non-bank lenders account for 50 per cent of overall borrowing from the debt market, according to ICRA. 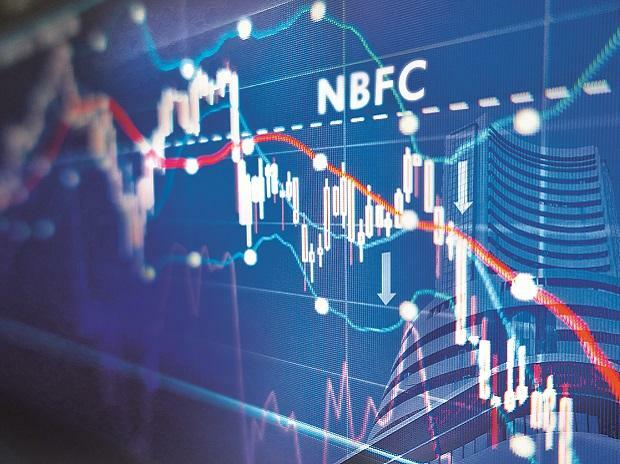 “The NBFC funding crisis has to be addressed specifically in terms of measures to reduce credit spreads," says Srinivas Varadarajan, managing director for fixed income and currencies at Deutsche Bank AG in Mumbai. One option would be for the central bank to take AAA rated corporate debt as collateral, with a government guarantee, he said.